Peeking is a very effective thing to do in many situations. It opens up a lot of possibilities in a competitive game. A lot of people usually have a basic idea of what peeking is, but they do not know the proper mechanics to execute it . 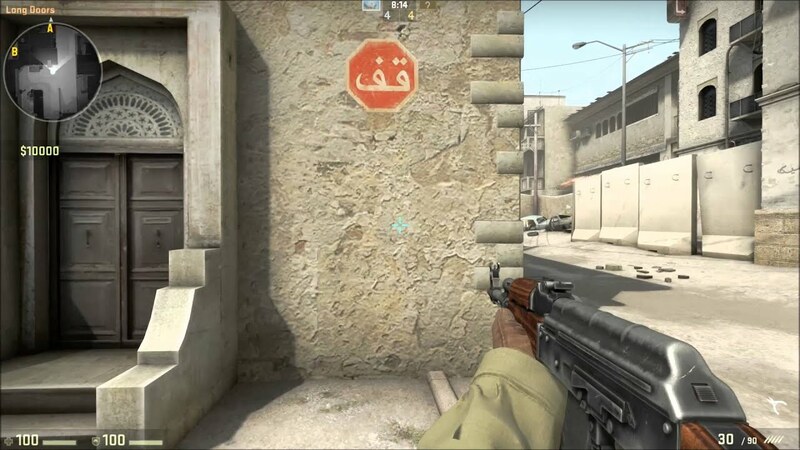 Peeking is a method of movement in CS:GO in which you try to get a quick view of an angle or corner without exposing yourself to a potential enemy or over committing to an attack. Basically, it’s a method to gain as much information as possible without risking your position. While Peeking, we must keep a few things in mind (the main) two of which are : – Whether you just want to gain information of potential position of enemies -Whether you want to clear out angles and kill players as you peek. On the basis of your need, you then decide how you want to peek. For instance, if you want to show aggression and engage in a fire fight with your enemy, you might choose to wide-peek, as that helps you get a very clear view of the area and gives you enough time to aim and shoot. To just gain information or to clear angles without exposing yourself jiggle peeking / shoulder peeking are your best options. Deciding and executing your peeks perfectly needs experience and lots of practice! Jiggle Peeking – In this style of peeking, the player uses the A-D-A-D movement with prefires at the default prefire spots to clear the potential location of the enemy and catch anyone offguard. Shoulder Peeking – This style of peeking uses the shoulder only to peek and bait shots. ONLY your shoulder needs to be shown not the full body. This makes the enemy fire the shot and it will be a good opportunity for you to strike with wide peeking, we will talk about that later on. Wide Peeking – After shoulder / jiggle peeking there will be a very high probability that your enemy is controlling a spray or trying to change the initial position. By peeking wide with one directional movement, you can catch the player offguard. It will be better if you’ve a support player with you to take the trade in any worst case scenarios. 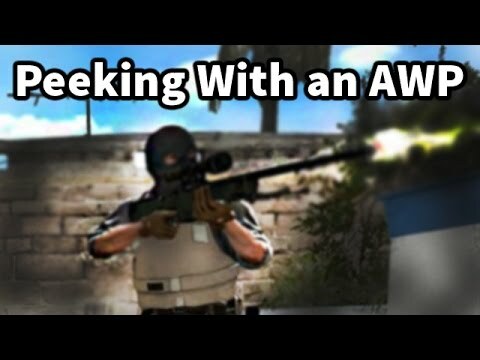 Jiggle / shoulder peeking with AWP – As you peek and bait out any shot from opposition, you need to capitalize on that and scope in for any repeeks from the enemy team. You can just wide peek after baiting any shot and hold the next angle. Wide peek with AWP – The best wide peeking mechanics is binded with scoping while moving wide. You need to keep moving wide and scope in with 2x and just as you spot any one you need to stop the movement to hit the most accurate shot, this can be done by crouching as you spot the enemy. Crouch peek – This is the most versatile style of peeking for AWPers. Most of the player keep the aim at head level. By crouch peeking they can not hit you head. The secret to hit a perfect crouch peek is by judging correctly where your enemy might be and pre firing with scope in as you crouch. Mixing crouch peek with quick scopes can help clearing out tight spaces like Bathroom on overpass and Banana on Inferno. You can have god like aim, the best game sense to probably outplay Karrigan and glaive but without the perfect movement technique and peeking sense you can be a easy target for the enemy. You don’t want to give you enemy any advantages in this game. You want them to commit mistakes and that can be easily conducted by different styles of peeking. HYPERDRAFT | ROULETTE | JACKPOT | COIN FLIP | MATCH BETTING – FREE BONUS CODE!